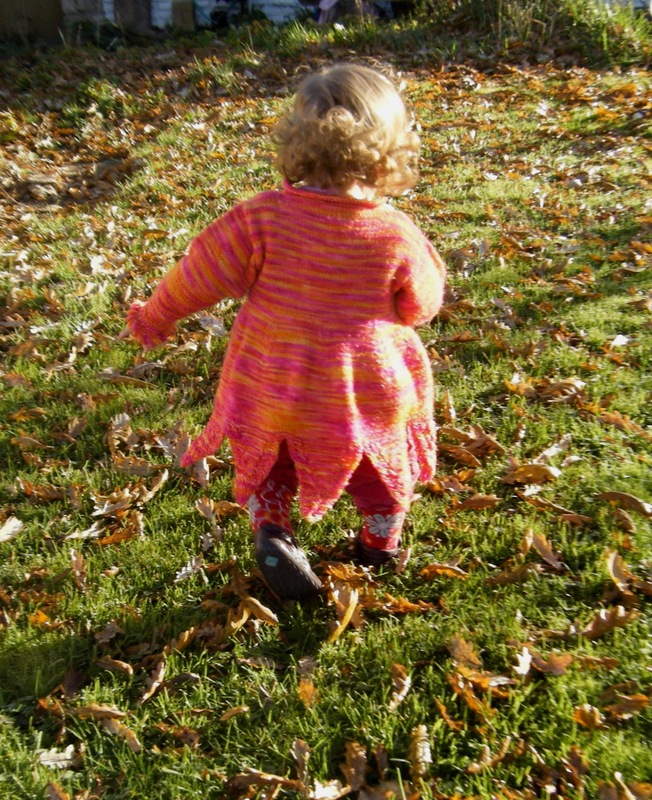 Little Miss M beautifully modelling my latest pattern to go live. Oh my word I’m so excited to be publishing this pattern today! It has taken years for me to develop and test. Special thanks go to Sheila at Sewchet for test-knitting it for me. And here it is!!!! Hurray! But as you can see in the top photo it has lasted well. I always make the arms a generous length and all my grandchildren seem to get a few years wear out of their yarny tops. The publishers kindly gave their permission for me to develop and sell the pattern so long as I credited the book. There are so many fabulous patterns in the book – well worth a look. I do hope you like it. I’m planning to publish the pattern in other sizes as soon as I have tested them. 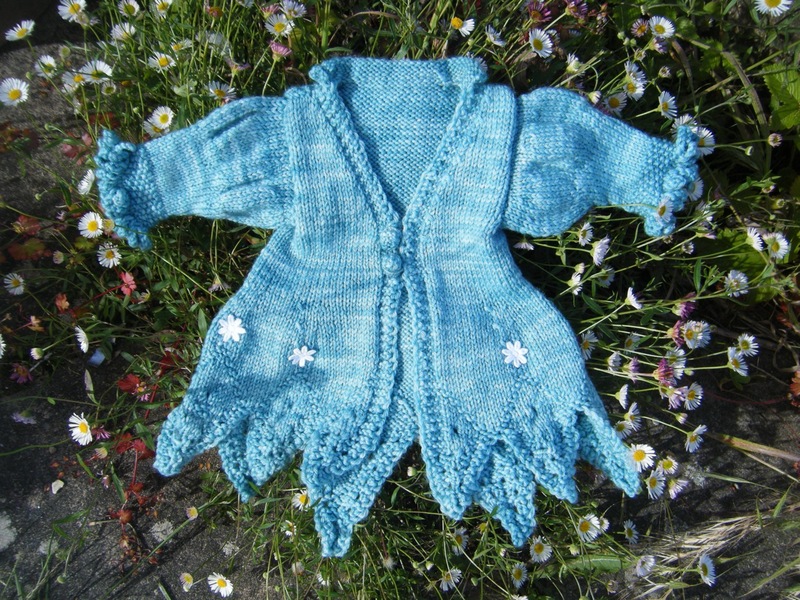 This entry was posted in for sale, knitting and tagged Annette Hefford, ‘Knitted Pirates, faerie, fairy, fairy jacket, fairy jacket to knit, for sale, Knit and Natter, knitting pattern, PDF pattern, pixie points, Princesses, toddler jacket, Witches, Wizards and Fairies’ by Annette Hefford, woodland fairy, yarn along. Bookmark the permalink. Pingback: Molly's Fairy Technicoloured Dream Coat. That’s adorable. I know my mum would love to make this, but my daughter is too big. She’s been trying to turn her into a fairy since she was born! Ha!Ha! Some children just won’t play ball will they!! She only wants to be a fairy at completely inappropriate times! That conjures up some hilarious images in my mind! Your daughter and I might have much in common! Ah! Lovely, congratulations! I have a smaller version of the pattern in the pipeline…. you have given me just the nudge I need to get on with it as soon as life allows. So glad you like it Lisa. Very pretty. What a lot of work you must have put in to create that pattern! Yes indeedy! I’m in awe of those pattern designers who seem to create loads of patterns. Thank you Robin, glad you like it. Absolutely perfect–it’s whimsical without being impractical! And that child’s hair–so beauitful! Thank you – although the pattern took ages to perfect, it was a joy to create. That’s such a cute pattern and I love the two pics of your model. Congratulations! Thank you Rachell, and thank you for picking up the ‘Yarn Along’ baton. Very cute and perfectly modeled by your little fairy. Thank you MM. I’m so lucky to have so many little fairies (and pixies) to model for me. Thank you Kathy. I do find them hard work – I’ve no idea how some people create masses of patterns in a short time. I am going to make my very first attempt this year, replicating a piece my grandma did, and I keep putting it off! It just seems overwhelming. Good luck! Choose a day when you know you wont be interrupted, and have a plentiful supply of your favourite beverage on hand! 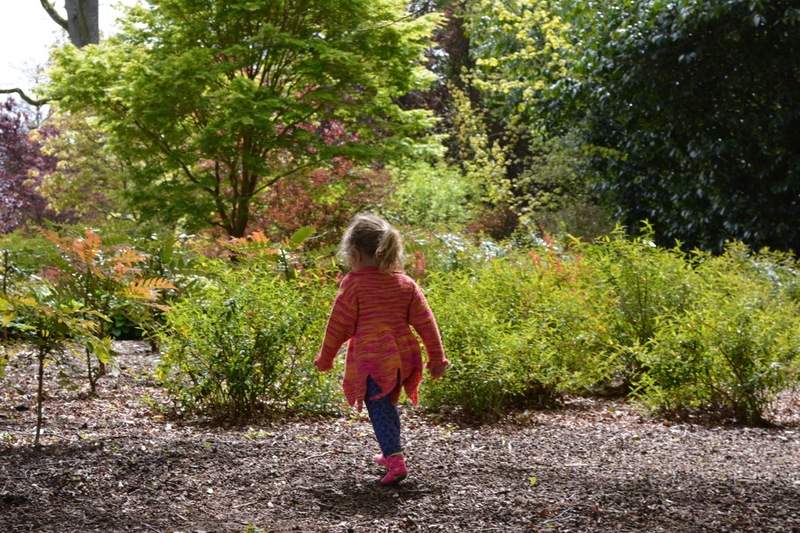 Utterly gorgeous, but how do I explain to Little Miss F that at three years old she is too big? Looks like I need to create a pattern for a 3 – 5 ear old! Share them if you can! Reading blogs from older-to-newer I saw Nanacathy’s post first and put congratulations there for you both, and will add them here for double measure! Thanks so much Del. I really appreciate your comments. You are right – they take so much work – a little typo here or there can be maddening! Looks fantastic! Waiting for the next size up! Will have lots of time to try New projects from now on! Looking forward to this one! X Mo. Ooo! Thank you for that feedback S – it encourages me to get on with getting more sizes ready for publishing. I don’t normally advertise on my Facebook page, but I’m going to share a link to this for you because it is just the most precious thing I’ve seen in a long while.